Just got back from a satisfactory day, beginning the east coast, accompanied by Chris. As anticipated, it was flat and also rather rainy, not very heavy, or windy, but relentless. Since the previous very wet day, near Beachy Head, was with Chris, I am beginning to wonder if he is the culprit! 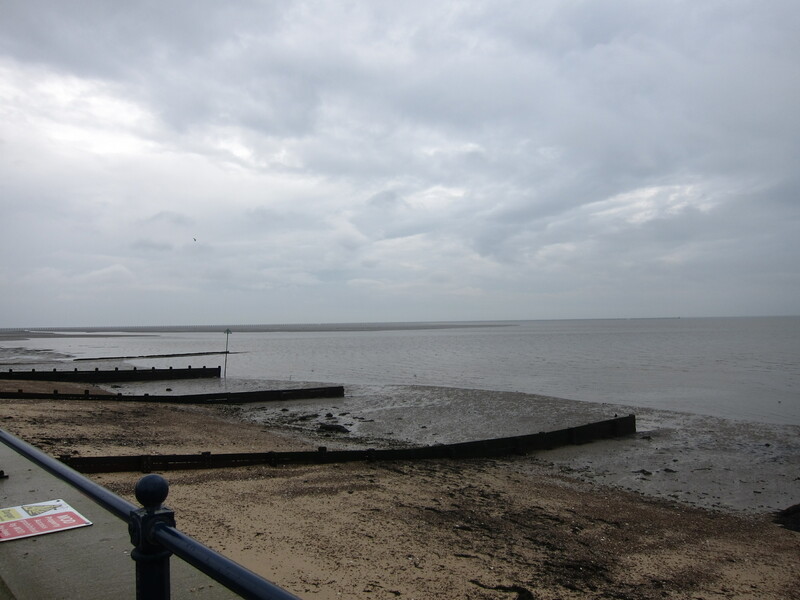 We set off from Shoeburyness around 9.45. It was not raining at that point and we could see the Kent shore with the various power stations and sewage plants I walked past back in the winter. It doesn’t seem very long ago, but I have covered a pleasing distance since. It was a bit odd to be walking with the sea on my right, but I am sure I will get used to it. The contrast with the South West is amazing – from the relentless ups and downs over the chalky cliffs to a vast expanse of mud flats. When we started out the tide was a long way off shore and there were people and dogs dotted across it. We walked past a group of chaps setting themselves up for wind kiting on the mud. It looked like great fun, but the geese who were circling ready to land did not seem so happy to see what they were sharing the coast with. 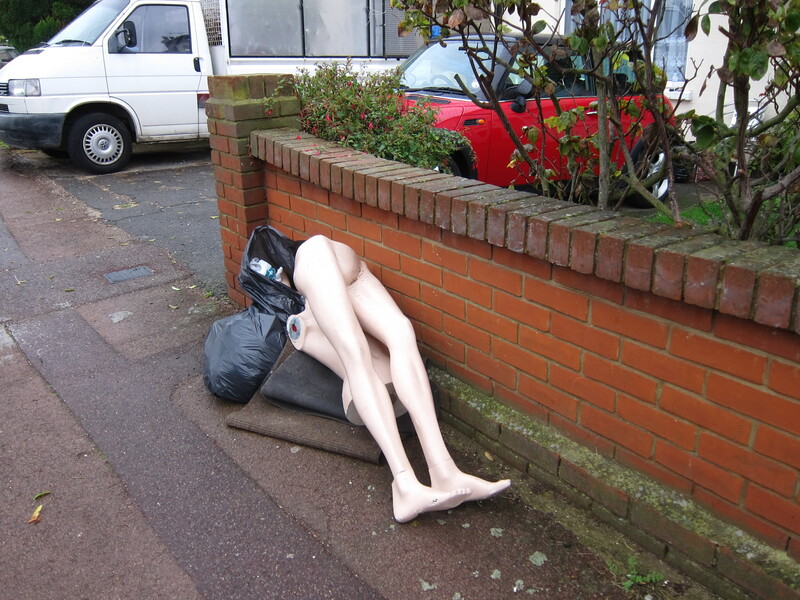 After a mile or so we had to turn in land to avoid the defence works at Shoeburyness – the road took us through a residential area and we had the bizarre sight of some dismembered mannequins in the street. They would be very creepy at night! Eventually, we turned back to the coast, but not much further on we turned in again to walk along the Roach estuary. 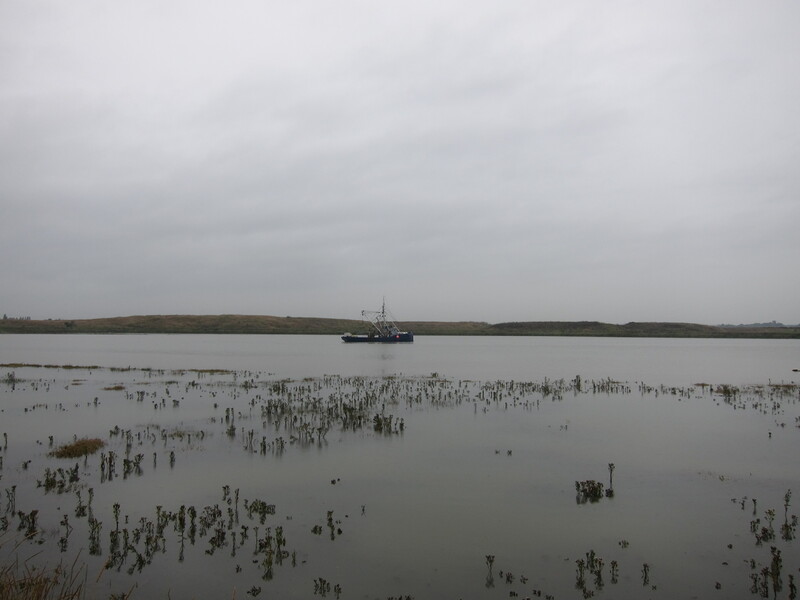 The island of Foulness was next to us, apparently you need a pass to go onto it as it is used for something terribly hush-hush. The swing bridge to the island was up, so, given there is no land access I am comfortable that it is not on the route! The path runs along a low embankment, built up, I suppose, to make the river Roach navigable. It was not an eventful day, the path just would in and out of the various inlets with boats in various stages of dilapidation dotted around. There was a curious section of bumps in the landscape, which we concluded, owing to the smell and the little pipes dotted around, was landfill. In total we covered just under 19 miles, and, happily, towards the end, the rain finally stopped and we were able to dry out before getting back into the car.